Dubai-UAE: His Highness Sheikh Mansoor bin Mohammed bin Rashid Al Maktoum visited the stand of Dubai Wholesale City at Cityscape Global 2016. His Highness was greeted by representatives from the city, who highlighted the project’s comprehensive solutions, facilities and strategic sectors of focus. 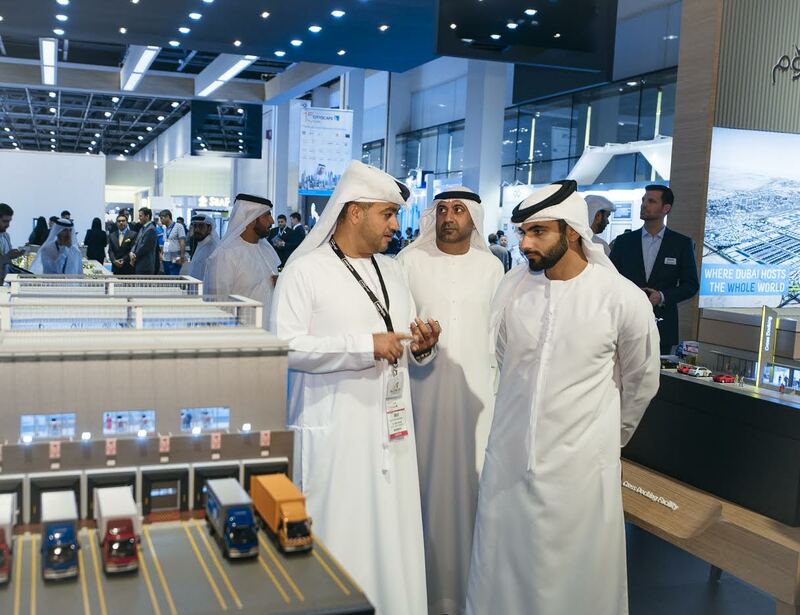 In the three day event, Dubai Wholesale City showcased its specialised wholesale parks and key components within the park; its cross docking facilities and specialized wholesale markets. The 30 billion project also displayed its specialized wholesale avenues that accommodate wholesalers needs for integrated solutions such as showrooms, warehouses and offices. The new project is just 10 minutes away from Al Maktoum Airport and Jebel Ali Port. Dubai Wholesale City comprises specialized integrated trading parks, international trade exhibition facility, Country Pavilions and e-commerce platform. It will focus on wholesale trade in a number of vital sectors including food, construction materials, electrical appliances, electronics, furniture and décor, machinery, equipment, wood, vehicles and spare parts, and textiles and clothing.